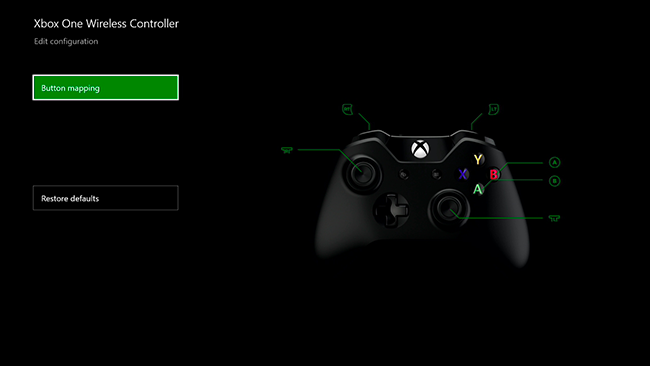 Do you know that you can remap your Xbox One controller button? Xbox One lets you to easily remap its controller button. 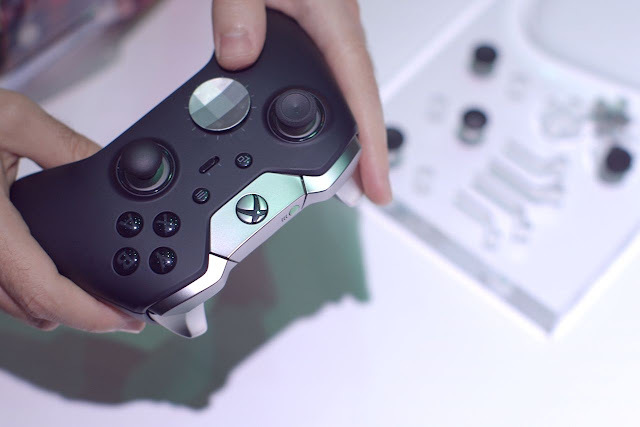 This was included with Microsoft’s high-end Xbox One Elite controller; however, it now works with normal Xbox One controllers too. So we’ve explained how you can do this with easy steps. However, these guides only should only be used when remapping buttons on an Xbox One controller connected to an Xbox One, not an Xbox One controller connected to a PC. 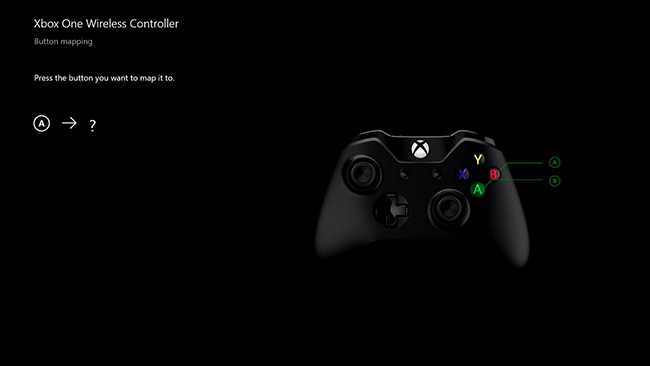 So if you own an Xbox One Elite controller, you can easily download the Xbox Accessories app from the Windows 10 Store and make use of it to remap the controller’s buttons when it’s connected to a PC. You have to know that Games won’t detect that you’ve remap your controller’s buttons. For instance, you might switch the left and right sticks using these guides. This change usually occurs at the Xbox One operating system level. Games you play won’t detect the change you’ve made to the controller’s buttons, so when a game prompts you to use your right stick, then you’ll have to use your left stick. So make sure you remember and memorized how you’ve mapped your controller’s buttons. 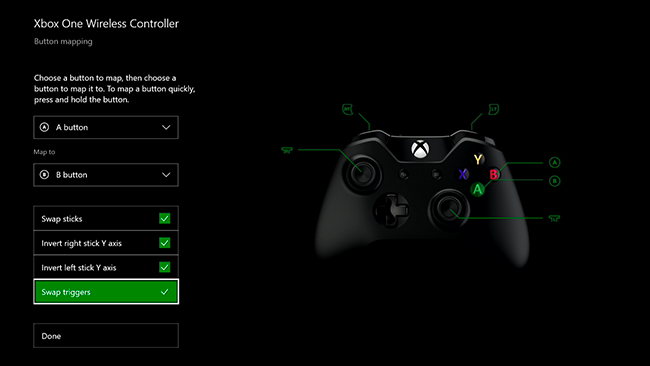 Therefore, your button mapping layout affects all games, apps, including the Xbox One’s dashboard. And you can’t create particular settings for particular games. So now let’s talk about how to do it. 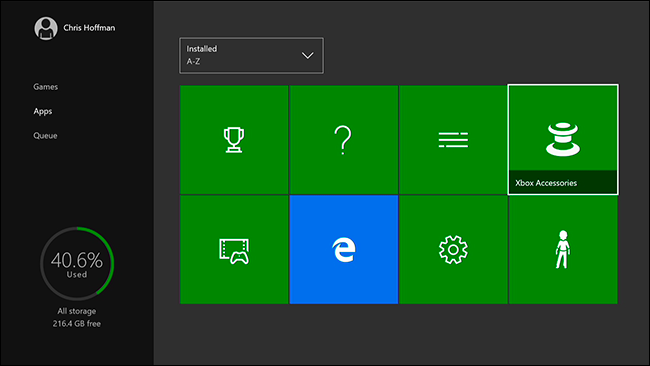 Navigate to “My Games and Apps” on your Xbox One, and then select “Apps” on the left side of the screen and launch the “Xbox Accessories” app. The “Xbox Accessories” app is installed by factory settings. Then from there you can see your connected controller, and then select “Configure” to continue. And in case you have more than one controller connected simultaneously, then you can use the left and right buttons on the directional pad to choose the controller you wish to configure. So select “Button Mapping” on the left side of your screen. And of course you can always head back here and select “Restore Defaults” to return your controller to its factory settings afterward. There are two methods you can use to remap your Xbox One Controller’s buttons. You could just select the button you would like to remap from the button list at the top-left corner of the screen and then select the button you would like it to operate as, from the “Map to” box below it. 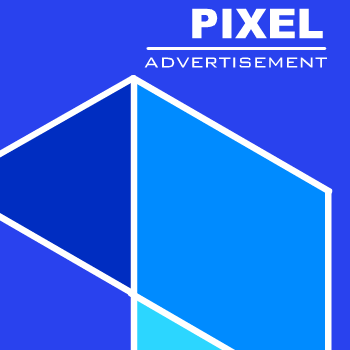 For instance, assuming you selected “A button” in the top box and “B button” in the bottom box, therefore, A button would operate as a B button when you pressed it. Alternatively, you can press and hold down the button you want to remap, and then quickly press the button you want it to operate as when the prompt appears to remap a button. For instance, if you long-press the A button and then tap the B button. Hence, A button would afterward work as the B button when you pressed it. There are also some options that let you switch the left and right sticks to rearrange them. And from the options also, you can switch the triggers; therefore, this will make the left trigger work as the right trigger, and right trigger work as the left trigger. Then, the “Invert right stick Y axis” and “Invert left stick Y axis” choices let you change the vertical axes of the sticks. So in case you enabled this option, then pushing the stick upwards would work as pushing the stick downwards normally. Therefore, you’d have to push the stick up to go down and push it down to go up. And in case you have an Xbox One Elite controller by chance, then you’ll be presented with more options for configuring your controller. So after you’ve finished, click on “Done” button. 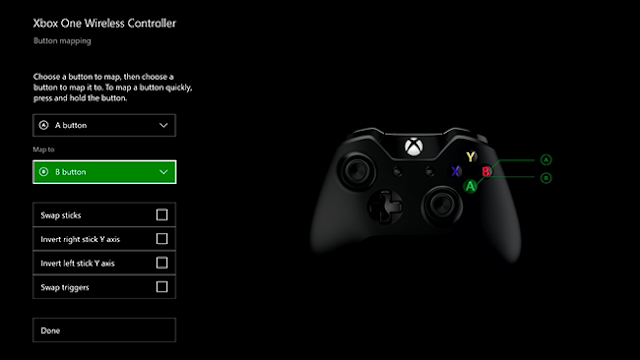 So you can go back to the Xbox Accessories app to check your custom button mapping settings in case you need a reminder of the custom button mapping settings i.e. which button functions as other button when you pressed it. That’s all. The only drawback here is that games, apps and the Xbox one dashboard won’t be able to detect the changes you’ve made to the Xbox One controller’s buttons. 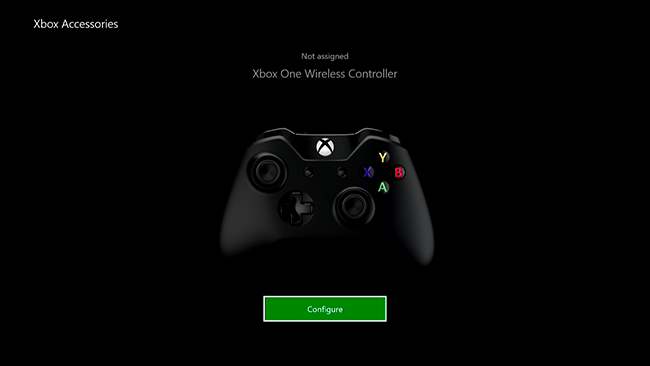 Nevertheless, remapping your Xbox One controller is a great feature added to Xbox One.